The ice went out on the Tanana River on Tuesday May 1, at 1:18 pm AST. The pot this year for the Ice Classic is $225,000. No word yet on how many winners picked the exact day and time of the ice going out. The mangled body of the iconic tripod, can be seen in the ice to the lower left of the photo. 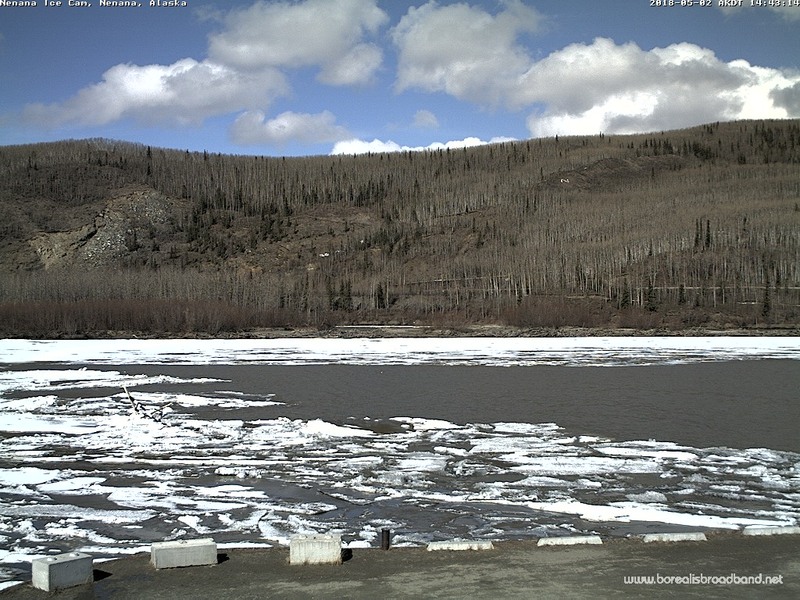 This entry was posted on Wednesday, May 2nd, 2018 at 11:55 PM	and tagged with ice, nenana ice classic, photo, tanana river and posted in Alaska. You can follow any responses to this entry through the RSS 2.0 feed.